The 1965 Chevy Corvair coupe is widely regarded as one of the most beautiful cars to ever come out of Detroit. Motoring writers raved about its great handling and how superior it was to mainstream Detroit products. And yet, the Corvair would soon become one of GM’s shortest-lived models. What killed the Corvair was the emerging story of the 1960-63 models. In 1965, Ralph Nader’s book Unsafe at any Speed won plenty of attention, none of it favourable for General Motors or the Corvair in particular. It is a curious freak of history that the two most politically controversial motor cars of last century are closely related. The Volkswagen Beetle will forever evoke memories of Hitler’s Third Reich, while the Chevrolet Corvair will be thought of as the ‘Unsafe at any Speed’ car, thanks to the crusades of Nader. Without the Beetle’s great success in the US market, there would never have been a Corvair. The Chevrolet Cadet small-car program had been axed in 1947 in accordance with auto executive Alfred P. Sloan Jr’s insight that large cars cost barely any more to make than smaller ones, and thus offer superior value and much higher profits. Besides, in the postwar boom, GM could sell every full-size car it built. By 1956, the Beetle had progressed from being an irritant to US auto execs to being recognised as a major threat. Henry Ford II famously dubbed it "that little shitbox". A rear-mounted, horizontally-opposed, air-cooled engine driving the rear wheels, luggage and fuel tank up front, swing axle rear suspension – sound familiar? 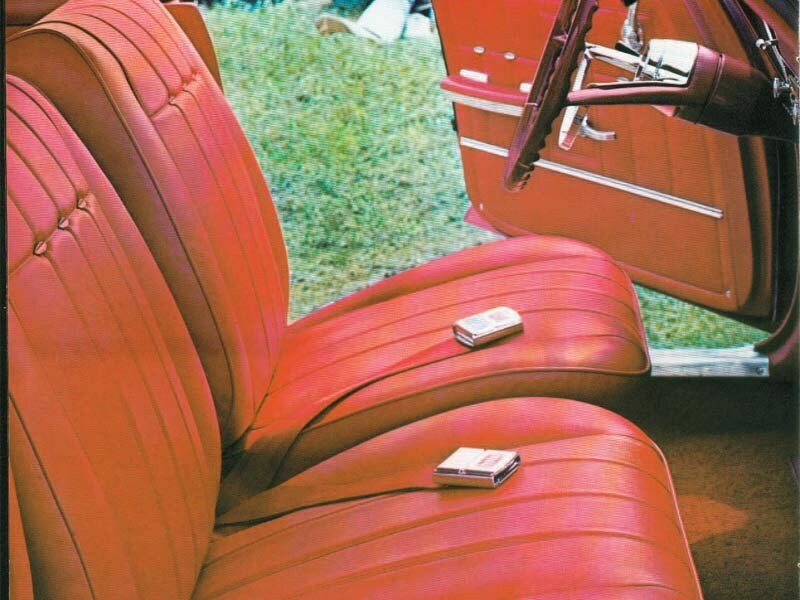 The Corvair had no transmission tunnel and could be promoted as a full six-seater. The problem was always going to be the execution within budgetary constraints. To build a radically-configured car would inevitably entail additional compromises from the ideal. Cole had designed a cast aluminium engine – too expensive. Using plenty of cast iron instead added significant weight to the car’s rear. Narrow wheels were cheaper. Cheap tyres, too. There are always conflicts between automotive engineers and accountants, but the Corvair is perhaps the clearest case of where both were wrong. The finance guys would not authorise fitment of a front stabiliser bar to reduce oversteer, even though the mounting studs were already in place. The engineers did not have the tenacity to carry their case. They responded by depending on tyre pressures to do the job instead, which meant they were depending on owners. The engineers’ rudimentary mistake was to assume that customers would bother with such a detail. A small note near the end of the owner’s manual pointed out the importance of correct tyre pressures and mentioned the risk of oversteer without explaining the term. But in 1961, William F. Sherman, technical director of the Automobile Manufacturing Association, said, "We’ve long since given up on the idea that the motorist will read the owner’s manual." 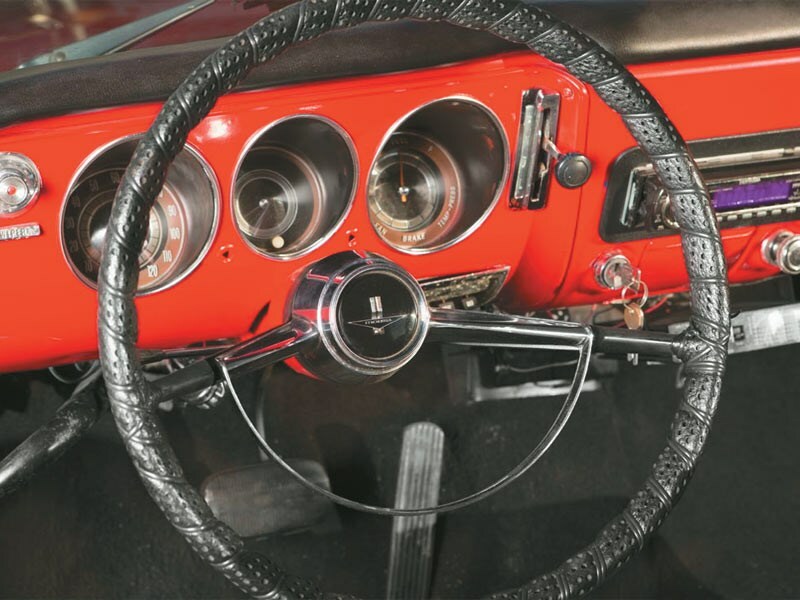 Tyre pressures were critical to the Corvair with its 38:62 weight distribution. The rear tyres were meant to be pumped up to 26psi and the front tyres just 15. But many Corvair owners never even took the manual out of the glovebox, let alone worried about attending to such a petty detail as tyre pressures. Wasn’t that what service station attendants were for? And 15psi? Even in 1959, many experts said this was far too low. 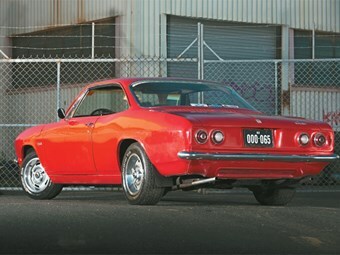 In the hands of a good driver, however, the Corvair could really hustle relative to mainstream Detroit cars. Ed Cole, quite the wheel man, had already challenged Henry Ford II publicly: "I’ll corner inside you against anything you’ve got." Of course, you had to drive it rather differently from an understeering Falcon. 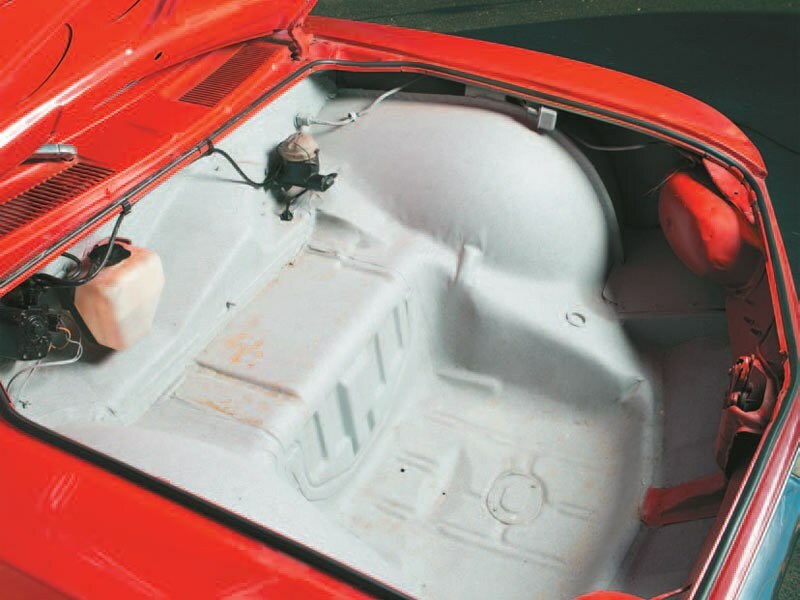 Few customers had any experience of a rear-engined car of the Corvair’s weight and power. Imagine a Volkswagen with twice the power and some 50 percent more weight and you begin to get the picture. Of course, many keen motoring journalists and race drivers had fun with Corvairs – they laughed at its lift-off oversteer, wheel tuck-in and unpredictability. It was sport. In the real world full of mediocre drivers, Corvairs fell over and people died, including the adolescent children of GM executives. Single-car accidents resulted in tragedy with tell-tale gouges in the road surface where a rear wheel dug in as the tyre rolled off the rim. Television comedian Ernie Kovacs died in his wife’s Corvair. Lawsuits were settled out of court to minimise anti-Corvair publicity. Ford had tested its own Corvairs and experienced one roll-over. Ford executives knew it was dangerous but thought it risky to go public on the question because there were too many mediocre cars in its own line-up. 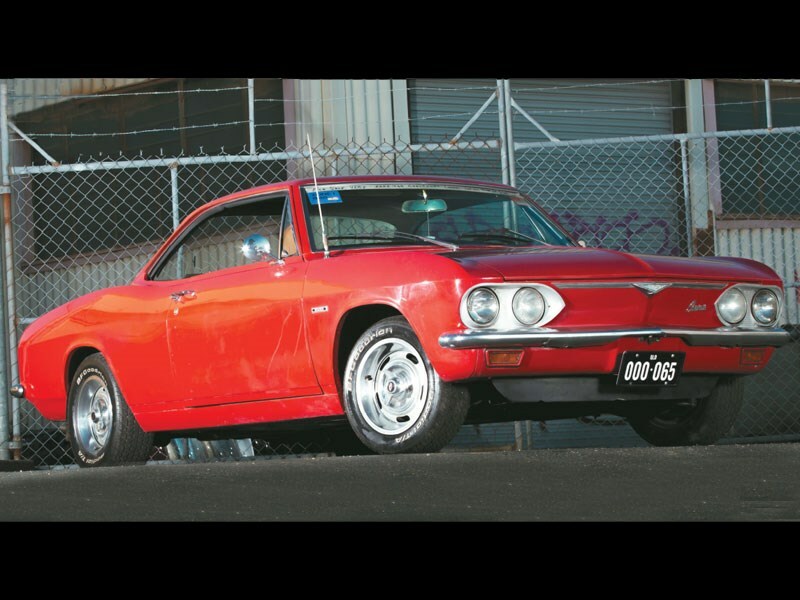 Motoring journalists took a while to see much wrong with the Chevrolet Corvair. It was Motor Trend’s Car of the Year for 1960. As for the higher-powered editions, there was lots of talk about it being a poor man’s Porsche, not only from Chevrolet publicity but also from the journalists. Car and Driver praised the 1965 model highly, saying "Despite a widespread misconception that the old car was ‘almost’ a sports car, it was one of the nastiest-handling cars ever built. The tail gave little warning that it was about to let go, and when it did, it let go with a vengeance few drivers could cope with." For years, Chevrolet management wouldn’t allow its engineers to improve the Corvair’s safety. In 1964 it finally scored a front anti-roll bar and a transverse leaf spring in the rear. This stopped the rot. Then, in 1965, the swing axles and leaf spring made way for fully independent rear suspension and coils all-round. This restyled Corvair was longer, wider and had a much lower centre of gravity. Wayne Barber, who has owned quite a few other Corvairs before getting hold of the ’66 Corvair 500 coupe featured here, says that the 1960-63 cars are not very nice to drive. "If you’re going to buy a Corvair, go for a ’65 on," he recommends. Author Ralph Nader went a bit further than Wayne in his criticisms of the 1960-63 Corvairs after pointing out that 1,124,076 examples were sold before the ’64 model-year revisions were made. 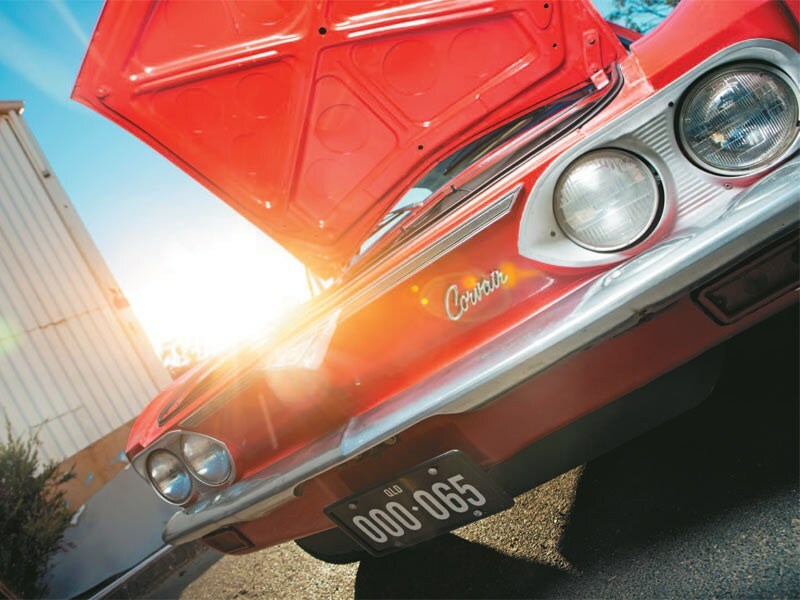 "The Corvair was a tragedy, not a blunder," Nader said. "The tragedy was overwhelmingly the fault of cutting corners to shave costs. This happens all the time in the automobile industry, but with the Corvair it happened in a big way." The Corvair should have been a good car and would have worked if it had been equipped from the start with a front anti-roll bar and a wider wheel/tyre package. Some critics argue that the Corvair was not killed off by Nader but had reached the end of its natural span. Don’t think so! In 1965 the Corvair was transformed from neat to gorgeous, especially in coupe form. The new rear suspension was Corvetteinspired. And while the base engine still mustered just 95hp (71kW), you could specify a turbocharged 180hp (134kW) unit. 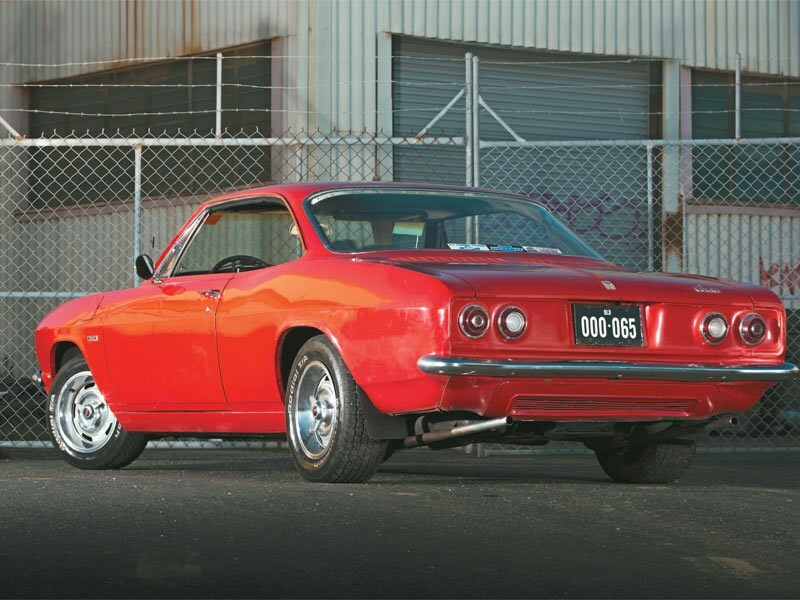 The ’65 Corvair Corsa coupe might have been the best car ever engineered in the US, but buyers were about to look elsewhere. Sales were up in 1965 to 237,056, but fell to just 15,037 in 1967, after peaking in 1962 when Chevrolet sold 292,531 of its oversteering wonders. If the 1960-63 Corvair sedans were dicey, we can’t imagine what a fully-laden Corvair 95 van would have been like. Also known as Corvans, they were produced between 1961 and 1965, which included some short-lived variants. The Ramp-Side pick-up, as its name suggests, had a folding side gate to create a ramp (refer photo gallery). The Greenbriar Sportswagon had side windows and was thus the first US people-mover. It outlasted the rest, soldiering on until 1965 when the secondgeneration Corvair arrived. 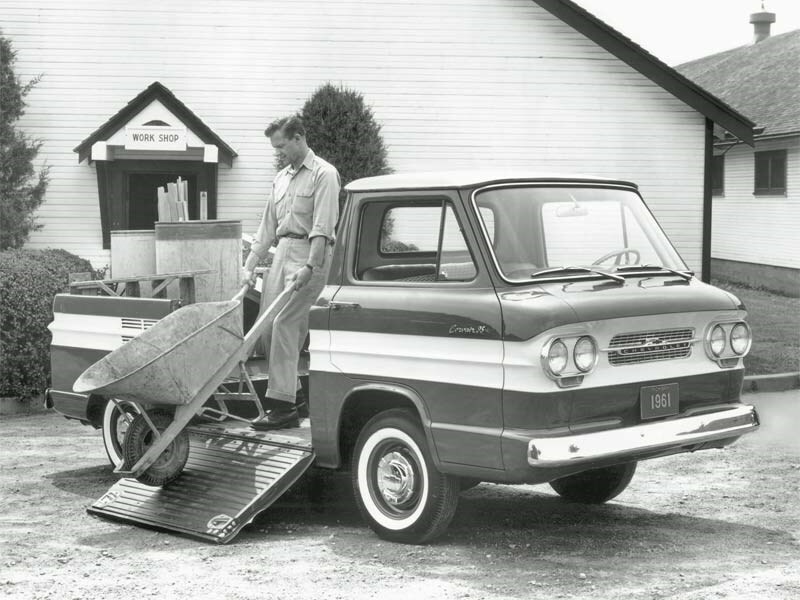 All these commercial iterations used standard Corvair mechanicals, but were built on their own 95-inch wheelbase. They were forward-control vans and access to the engine was via the load compartment, which would have been less than handy. Weight distribution must have been diabolical with a big load sitting over the cast-iron flat-six engine. 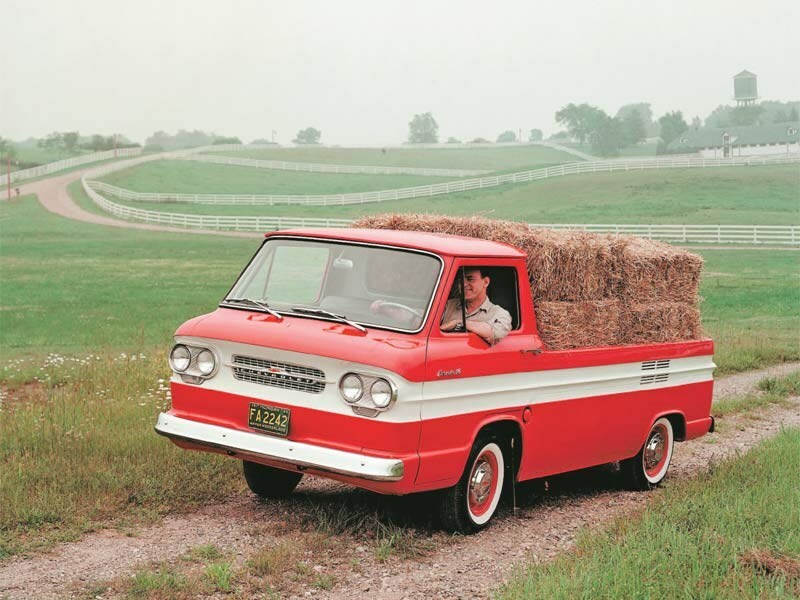 These were Chevrolet’s lightest commercial vehicles in the 1960s. Wayne Barber owned a few early-model Corvairs and was left unimpressed. But while living in the US for two years, he saw this beauty sitting by the side of the road one day and had to have it. 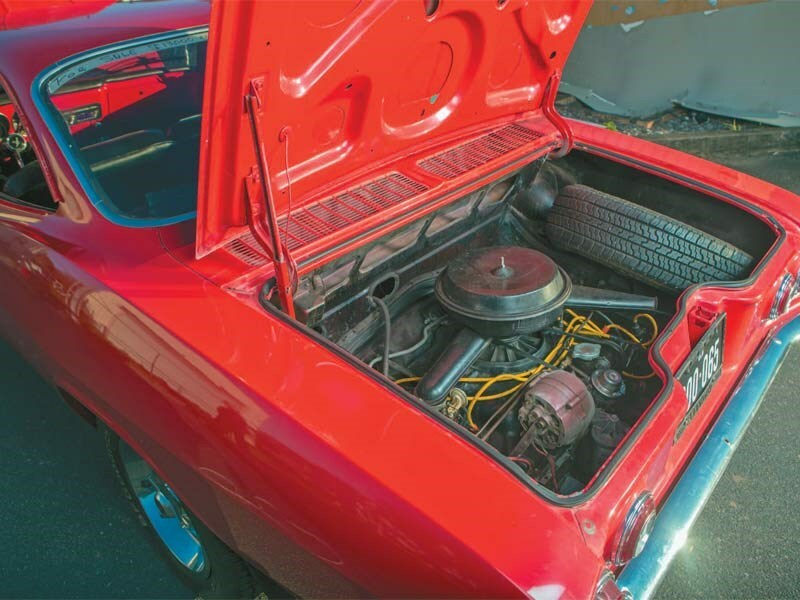 His ’66 Corvair 500 Sport Coupe has a high-powered engine to match its looks. Even the factory offered a four-carb engine with 140 brake horsepower and a turbo with 180. The real drama occurred when he went to collect the Corvair in Brisbane. He soon discovered that he could turn the steering wheel full circle with no response at the wheels. Better at the docks than on the road!